Like all of ABCYa’s games and activities, Easter Egg Hunt is a colorful and intuitive educational game for young children. It is easy-to-understand, playful, with favorite Easter symbols and energetic music that will engage children. The five Easter-themed games are easy-to-understand (no directions required) with a countdown clock to motivate activity. Nicely, it also aligns gameplay with the national standards met. In this Easter egg hunt, students work in groups to find paper eggs hidden around the room or school. The website contains a lesson plan for teachers with objectives, key concepts, materials required, and assessment suggestions. Youngers color an Easter bunny picture with an electronic brush and choice of nine colors. It’s easy to do even without the provided instructions. Completed pictures can be saved as a screenshot and pushed out to creators. The site also provides Easter-themed facts, jokes, crafts, and games. This site provides a collection of Easter-themed coloring templates that can be printed or imported into a drawing program. Here, you’ll find a color-me Easter angel, Easter egg, a lamb or bunny, and several others aligned with the Christian celebration. This site provides three Easter games that require critical thinking and problem-solving from youngsters. 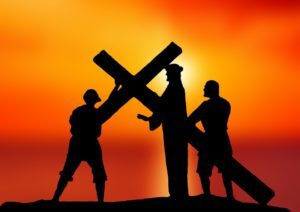 It also provides a walkthrough of the Christian Stations of the Cross — a great addition for homeschoolers. It does necessitate a quick reading of instructions so is best played the first time with an adult available but once played, students will understand how to maneuver through the varied stages. This robust collection from Primary Games, a well-known provider of gamified educational activities, includes over twenty easy-to-understand Easter-themed games. Also available are coloring pages, word searches, a Boggle quiz, Easter math, puzzles, dot-to-dots, Hangman, crossword puzzles, and many more to align learning with this popular holiday. From teAchnology, this site offers a wide variety of lesson plans aligned with Easter to support core learning. Options available are Easter Egg Word Families, Easter Sudoku, Jelly Bean Math, and more. This is a nice collection of both religious and non-religious Easter activities. The non-religious ones offer six poems and two songs. Each poem is augmented with a reading-based craft. In the religious collection, there are five poems and eleven songs, often aligned with popular tunes students will know such as ABC, Mary had a Little Lamb, and Pop Goes the Weasel. This is a darling two-minute video that features puppies and chickens decked out for Easter, frolicking through their own Easter egg hunt. From Digipuzzle, this site offers a wide variety of Easter-themed puzzles, crosswords, word searches, hangman, memory games, multiplication puzzles, and coloring pages. Also included are Easter Math Pacman, a Boggle Quiz, a block puzzle, Sudoku, and too many more to mention. They’re intuitive making this a great site for fill-in time or class warm-ups. This is a science experiment themed to Easter where students determine the density of an egg or one of ten other experiments. It provides Objectives, Keywords, Materials required, a thorough lesson plan, and Assessments. This is a great way to tie the holiday into math and science. This is a 2.5-minute video of the Easter Bunny Song. It is colorful, engaging, and easy enough to learn, students will quickly sing along. In this ten-minute video, students enjoy the reading of Jan Brett’s The Easter Egg complete with music, pictures, engaging audio, and original pages from Jan’s popular book. This collection of Easter-themed videos includes the history of Easter and Easter eggs, what you probably don’t know about Easter (from the History Channel), an ebook, several how-tos (for cooking and crafts), an Easter sermon, and more. As only Starfall can do, this Easter word hunt can be read or listened to as audio. Directions are easy-to-understand with hints if readers get stuck. Words are selected with clicks and completed sentences can be listened to by initiating the audio icon. This is a video of the popular Easter song for kids. This is a three-minute overview of Easter published by the History Channel. 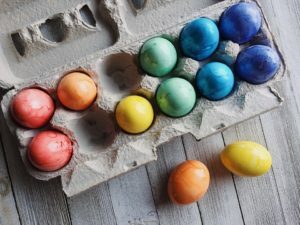 It provides background on the holiday, the origin of the word “Easter”, how it was mandated as a Sunday holiday, and insights into traditions (such as the Easter bunny, baskets, eggs, egg rolling, and chocolate). 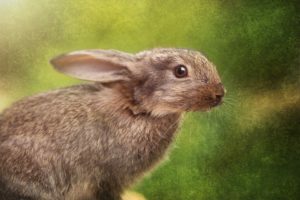 Mercer Mayer’s popular It’s Easter Little Critter comes alive in this author-narrated video story. With the assistance of his puppet friend, Little Critter, Mayer reads the story while sharing pictures from his book mixed with commentary from himself and his puppets, This YouTube video has entranced hundreds of thousands of youngers, sharing the excitement and pageantry of the Easter holiday. With nineteen options from stories to songs, videos, lesson plans, games, and information, pick one that works with your student group. I’d love to hear if there’s a digital activity your students love for this holiday.